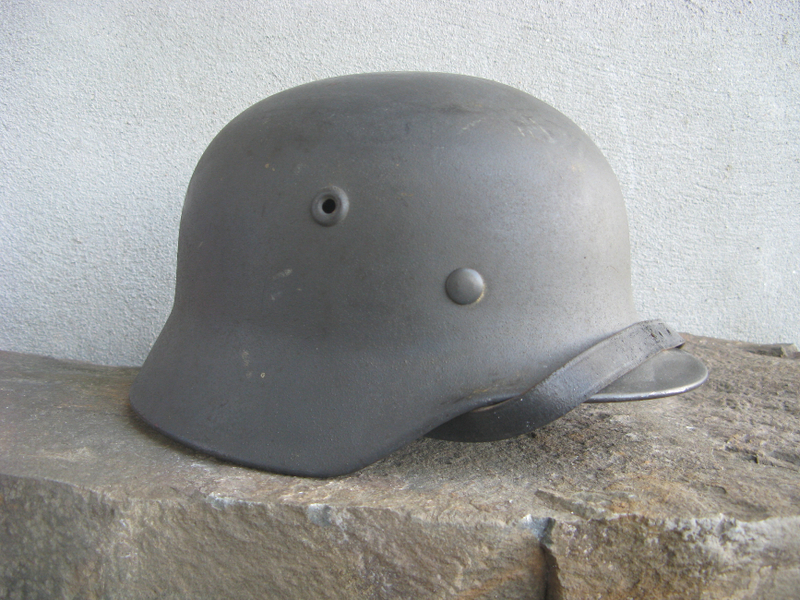 This helmet was bought back in 2012 and has been in my personal collection ever since. It came from a private seller out of Saratoga Springs, NY a young woman who inherited it from her great uncle on her mother’s side and so it’s right out of the woodwork never having seen a military show or been in a private collection. 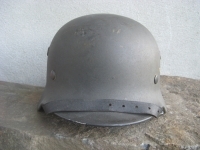 These are really the best kind of helmets to find because they are basically straight from a US vet who once he passes on goes to the surviving next of kin which is this case was all female. 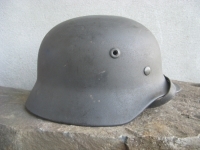 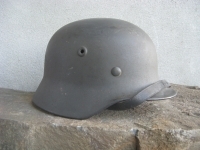 As we all know women in general don’t collect anything except for shoes and most find German helmets kind of creepy and so they are always ready to sell. 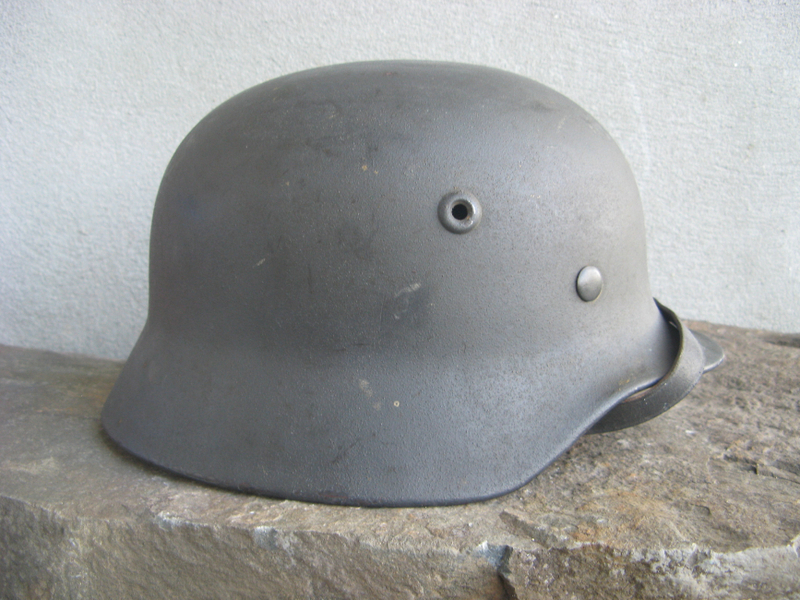 The woman I was dealing with was in her early 20’s and was fearful to send the helmet through the mail even though we are both in the same state. 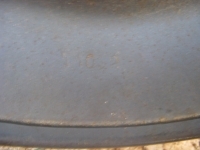 And so I actually had to meet her half way and make a 3 hour drive to buy this in person. 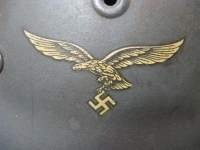 The girl was typical Jewish American princess type, nice car that daddy bought etc. When I first had it in hand I was amazed at the overall condition of it, the outside paint a nice LW blue gray was nearly 100% intact and with an amazing 99% Adler decal to boot. 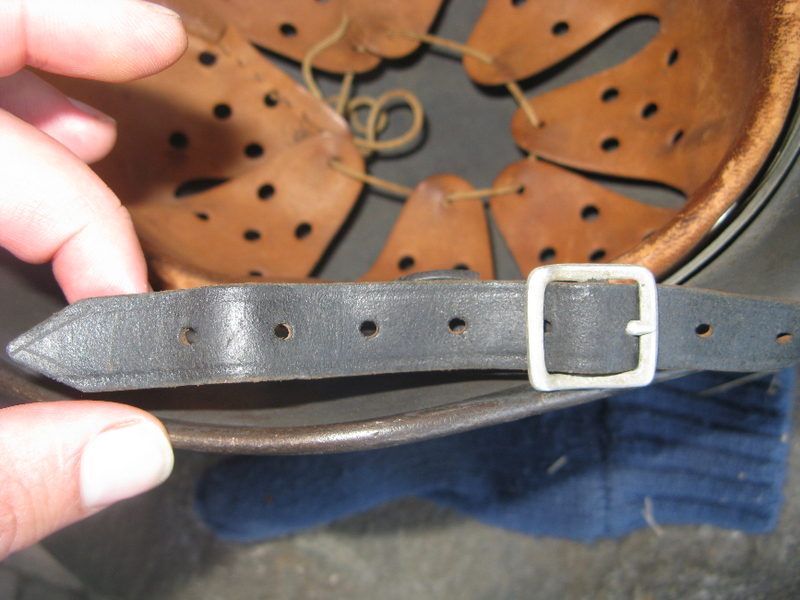 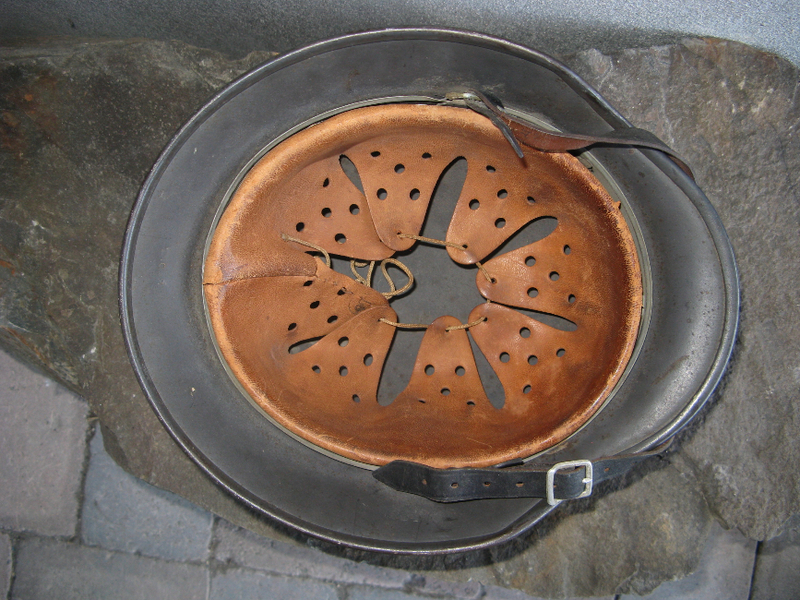 The inside leather has a great look of actually been worn during the war and so has a nice bowl shaped appearance. 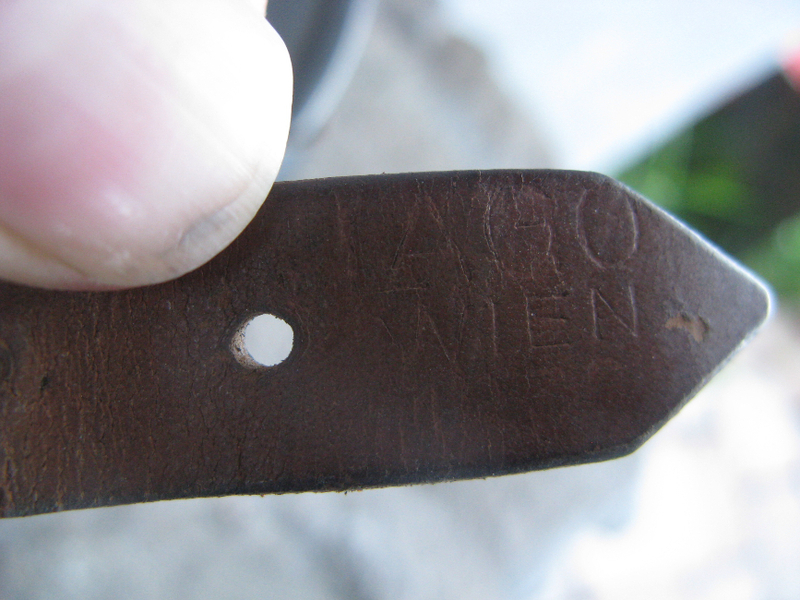 The original chinstrap marked and dated Lago Wien 1941 and is still in tact and and full length never shortened with a nice early war aluminum buckle. 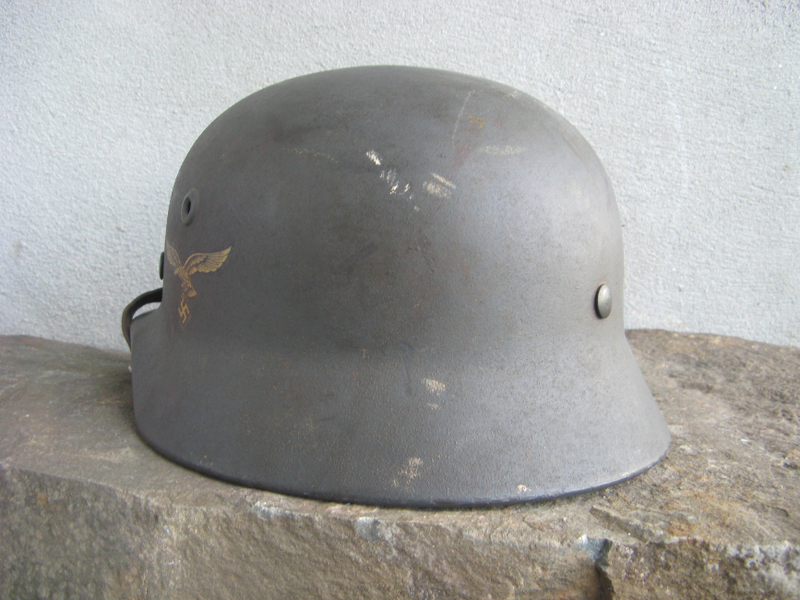 The liner even has it’s original drawstring already adjusted to fit the soldier’s head perfectly. 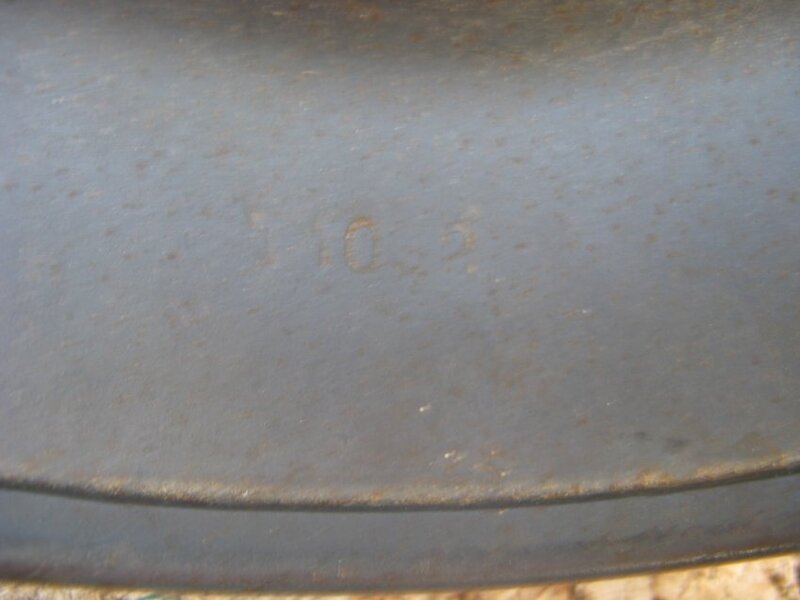 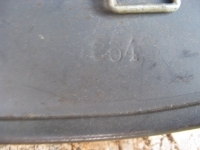 The rear lot number is T1032 which according to Brian Ice’s lot data book places the production date in 1943. 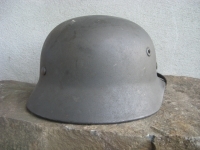 Really really tough to find one better than this especially as a mid war M40 Quist helmet. 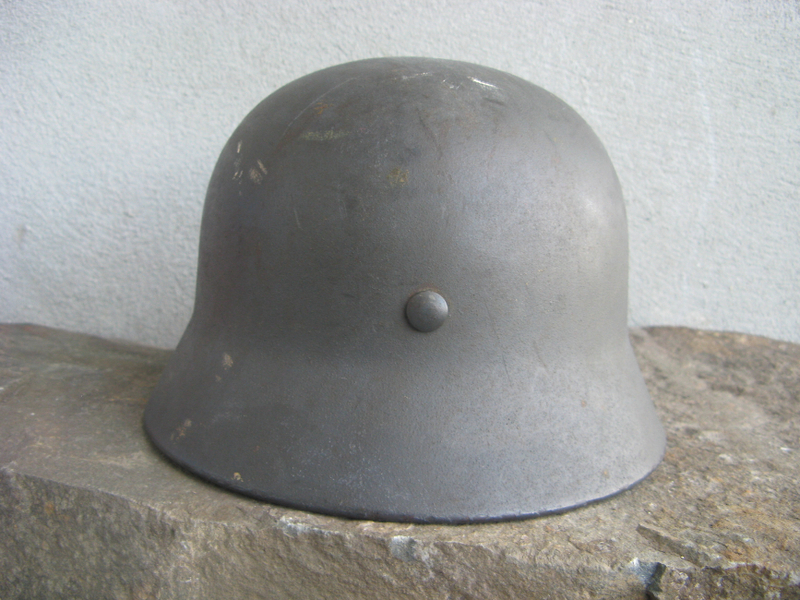 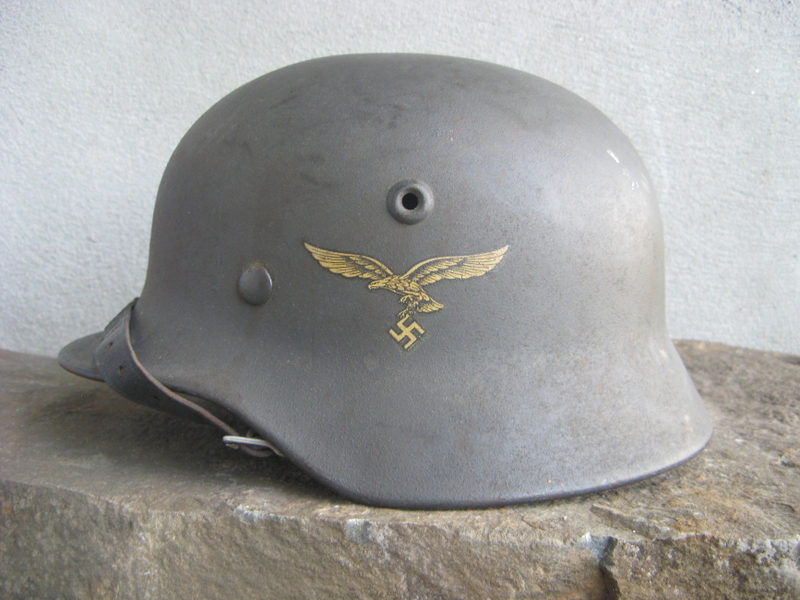 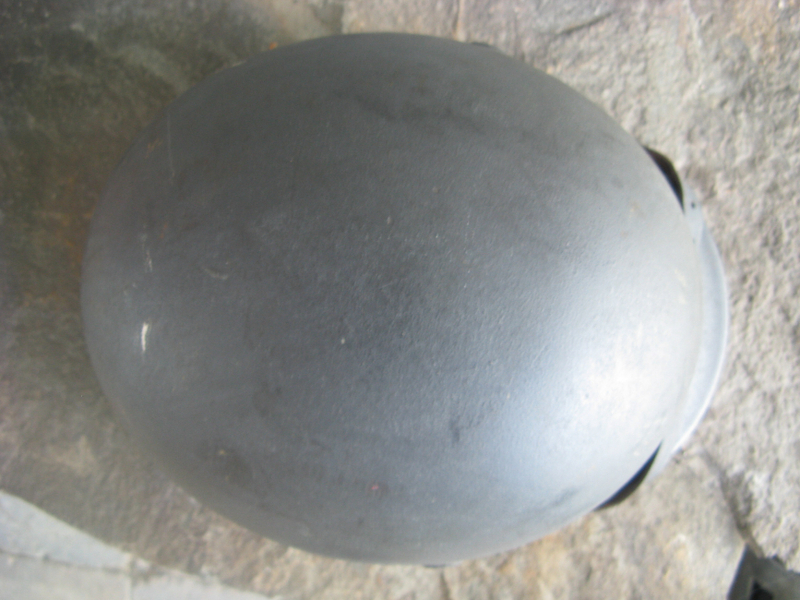 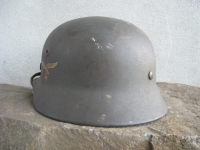 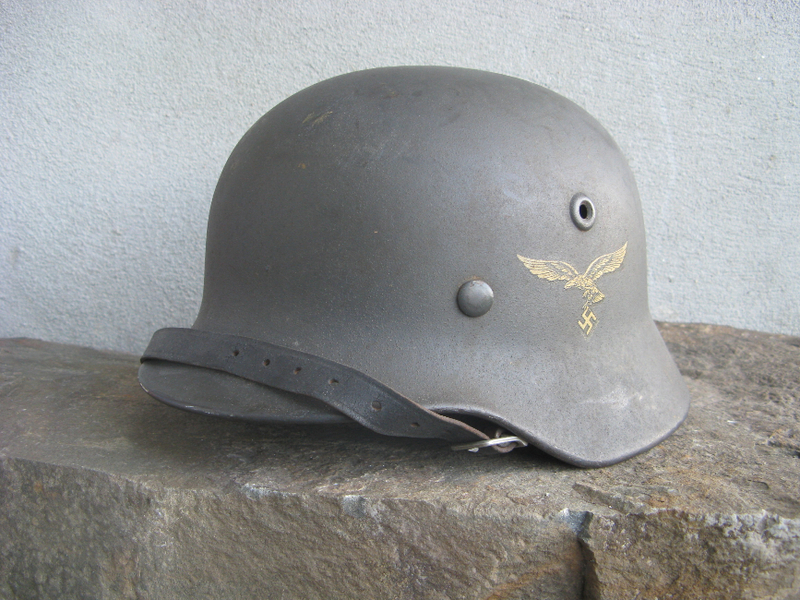 This helmet was really there at the height of the war until it’s conclusion and eventual capture. 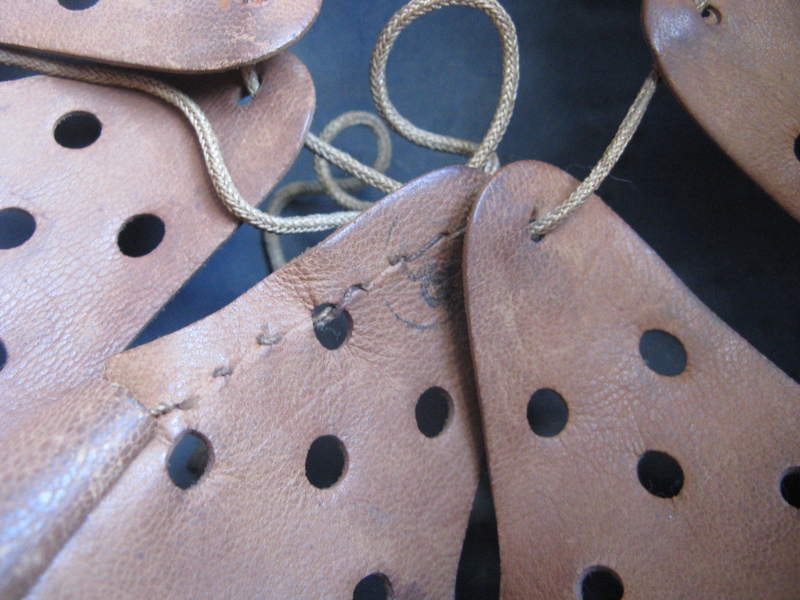 I took this out of my own personal collection not because I need the money but out of guilt for buying over $2k worth of tunics recently and I want to go down as a custodian and not a hoarder of these beautiful things.